Many factors have contributed to India’s rise as a global player in the software and services industry. Table 1 lists some of the technical, business, and organizational factors. Those factors have been explored elsewhere. (See, for example, Aspray, Mayadas, and Vardi 2006.) This paper focuses more narrowly on various policy issues that have had a bearing on the rise of India’s export software and services industry. The first section discusses issues of trade, industrial regulation, foreign investment, and public and private ownership. The next section discusses educational policy. The third section discusses telecommunications and infrastructure policy. The paper concludes with a snapshot of the Indian software and services export industry today. When India achieved independence in 1947 and formed a socialist democracy, it followed a Russian economic model based on building up its heavy industry. Most of the economic policy initiatives of the 1950s and 1960s were directed at government intervention, protection from imports, self-reliance, and substituting domestic production for imports. The economy was capitalist, but it was driven by state planning and state investment. For example, the Industrial Development and Regulation Act of 1951 required any firm wanting to manufacture a new product or substantially increase its production capabilities to get a license from the government. Severe limits were placed on foreign and private capital. Worries about the rising influence of foreign investors and multinational corporations as they established production facilities in India led to the passage in 1973 of the Foreign Exchange Regulation Act, which limited foreign companies to no more than 40% equity stake in Indian firms. This policy change ultimately failed because limited capital available within India led to only modest industrial growth in the 1970s and 1980s. From the late 1940s into the 1980s, the Indian computer industry was inward looking. Prior to 1969 there was only one indigenous Indian software firm, Tata Consultancy Services (TCS). 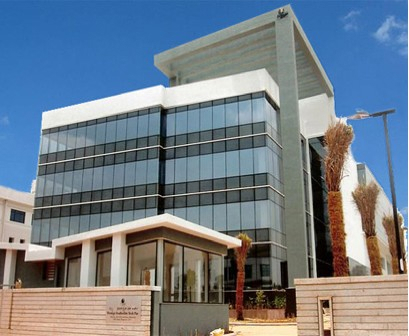 Its main business was to serve the internal data processing needs of the Tata group of companies, India’s largest business conglomerate with operations including hotels, airlines, steel, oil refining, electric power, and chemicals. Unlike East Asia, there was no effort in India to manufacture computer hardware systems or components for export to the West. India was the first developing nation to create a software export policy, but that early policy was not particularly effective. In 1970 the Indian government created a Department of Electronics, whose mandate included the stimulation and regulation of the software export industry. 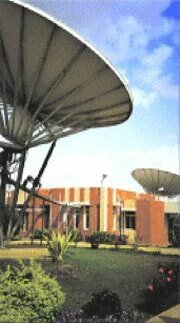 This department became the lead agency in the development of IT strategy for the Indian government. One of its most important acts was sponsorship of a 1972 bill that created a Software Export Scheme, which relaxed the import of hardware for companies that would use the hardware to create software for export. By 1980, however, it was clear that most of the hardware being imported to India was being used for domestic purposes, not for creating software exports. As a result, the government banned the import of second-hand computer hardware and raised import duties on new hardware. The software export industry came about primarily through the interactions of Indian firms and the Indian government with multinationals, A number of foreign-headquartered computer multinationals had sales offices in India by the mid-1960s. The most important of these were IBM and Burroughs. In 1969 IBM decided, under U.S. government pressure, to unbundle, that is to price its software and services separately from its hardware. IBM’s unbundling decision was a strong stimulus for the development of an independent software and services industry in the United States, and the unbundling decision had a similar, but more modest impact on the development of an indigenous Indian software industry. Perhaps even more important than the unbundling decision to the development of the Indian software industry was the decision by IBM to cease operation in India in 1978, after an unsuccessful five-year appeal for an exception to the Foreign Exchange Reduction Act of 1973. Rather than take a minority ownership in its Indian operations, IBM withdrew altogether. In response, the Indian government formed its own software and services firm (CMC). However, this company was never very successful, and it was eventually purchased (in 2001) by TCS. It was Burroughs, however, more than IBM that set the course for the Indian software and services industry. In 1970 TCS purchased a Burroughs mainframe computer and began to offer data processing services to other clients. TCS also became the exclusive agent for Burroughs in India. In 1973 the federal government established electronics export processing zones in several locations in India, as a means to bolster Indian businesses against foreign competition. These zones were attractive in that they had below-market rents, reduced regulatory restrictions in the country that had originated the term ‘red tape’, and guaranteed water and power supplies in a country where provision of these utilities was unreliable. TCS moved into the first of these zones—in Mumbai—in 1973. The following year, Burroughs asked TCS to send programmers to the United States to install systems software for Burroughs customers. When TCS was successful in this ‘body shopping’ as the service came derisively to be known, other Indian firms began offering programming services in competition to TCS. Thus was the Indian export software business born. As of 1980, the Indian software industry was predominantly a body-shopping industry. The Indian firms would recruit the programmers, a multinational firm would serve as broker to find clients for the programmers, and the programmers would work on customer sites (mostly in the United States) under the control and direction of the customer. At this time, there were 21 Indian firms providing this business, doing a total of only $4 million of export business annually. TCS and Tata Infotech, another member of the Tata conglomerate, held 63% of the market. There was one other initiative by the Indian government in the 1970s. With IBM’s departure in 1978, the government passed the Microcomputer Policy Act of 1978 to stimulate an indigenous Indian computer industry in the emerging fields of microcomputers and embedded systems. The act permitted companies to obtain licenses to manufacture systems that embedded computer hardware. Foreign brand names were not permitted in the products that ensued. Foreign know-how could only be used in peripherals. However, working against the success of this act was a widespread fear among Indian policymakers that automation would result in job loss, so that there was no serious effort to push computerization in India or develop an Indian computer hardware industry. A severe balance of payments problem was a major reason for the Indian government to liberalize its IT trade policy in the 1980s.3 In 1984 it allowed foreign companies back in to the country, but only on a licensed basis. That same year, Prime Minister Rajiv Gandhi, who was a strong believer in the economic value of technology, pushed through the New Computer Policy. This policy reduced import duties on computer hardware from 135 to 60%, and import duties on software from 100 to 60%. It also made computing systems more available to Indian companies. The Prime Minister recognized the limitations of government intervention in market creation, and he was much more willing to emphasize price and market mechanisms than had been previous Indian administrations. The New Computer Policy was followed two years later by the Software Policy of 1986 (the Computer Software Export, Software Development and Training Act), which made several important changes in the regulatory environment for the Indian computing industry. The government identified software as one of India’s most promising export fields. It allowed import of foreign-built software and software tools so that Indian companies would have a greater chance at building competitive products. It designated software as an official ‘industry’, making it eligible for loans from commercial banks. It also delicensed the software industry, making it one of the few industries that did not require a license for a company to enter that business. Economic history has shown that entrepreneurship generally flows to unregulated industries more than to regulated ones. The regulatory changes were occurring just as the computing world was making the transition from mainframes to networked workstations and the use of the Unix operating system. Closely following trends in technology demand, as they did again in the late 1990s with COBOL and Java programming to meet the Y2K and dot-com software demands, Indian companies began to garner work that involved translating applications for traditional operating systems into ones for Unix. During the second half of the 1980s, multinational IT firms such as Texas Instruments, Hewlett Packard, and Digital Equipment Corporation opened wholly owned subsidiaries in India to take advantage of high-quality, low-cost programmers. At about the same time, some multinational banking firms that already had ties to India, notably including Citibank, also opened subsidiaries in India to do custom applications programming. In order to attract these companies, the Indian government gave them access to then-scarce satellite bandwidth (and later upgraded it to fiber optics). It was this high-speed, wide-bandwidth connectivity that later enabled offshoring of IT services. The Indian software industry grew considerably during the 1980s. By 1990 there were some 700 firms, doing on-site programming as well as body shopping. 80% of the work involved custom software development. Most of the firms were small. Two-thirds of the firms had all their exports purchased by a single client. The market share of TCS and Tata Infotech together had slipped (to 48%), but they were still the leading players in the Indian software industry. During the 1990s, as the importance of the software industry to India became more apparent, there were five major policy initiatives to help build this industry. The first involved tariffs. In the late 1980s, desperate for foreign currency, the Indian federal government had reversed elements of the New Computer Policy of 1984 and raised duties on software to 110%. During the first half of the 1990s, the government again lowered these tariffs. Software tariffs were lowered to 85% in 1993, 20% on applications software and 65% on systems software in 1994, and 10% on all software in 1995. Meanwhile, hardware import tariffs were lowered to 40% in 1995, and 15% for finished goods and 0% for components in 2000. The second of these policy initiatives favoring the software industry involved industrial parks. 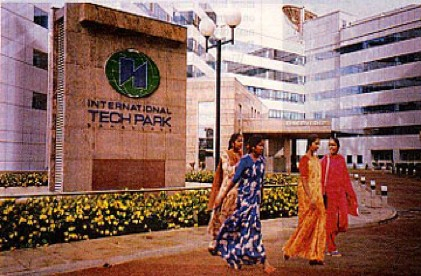 In 1990 the federal government created the Software Technology Parks of India system. Companies occupying space in these parks had reduced government red tape, the advantage of proximity to other companies with similar businesses, and the freedom to import computer and telecommunications equipment against export dollars without licensing or custom tariffs. Companies used this last provision widely to import computers and packaged software. In 1993 the government broadened the law to apply not only to software parks but also to all Electronic Hardware Parks and all Science and Technology Parks. In 1995 the profits and gains from export of software from software parks was exempted from taxation for ten years. This law was later extended to give tax exemption to software exports wherever in India they were created. The third policy initiative of the 1990s favoring the software industry was deregulation. In 1991 the federal government reduced licensing requirements in various industries closely related to IT. Foreign ownership laws were relaxed, including one that permitted majority foreign ownership in the software industry. An automatic approval process was established both for hiring foreign technicians and for foreign testing of technology developed in India. Restrictions were eased on the manner in which mergers and acquisitions could take place. The fourth policy change concerned intellectual property. In 1992 the Copyright Act was revised. The most important changes for the software industry were that the legal remedies against intellectual property theft were applied explicitly to software piracy, and site licensing of software was made legal. The final policy change affecting the software industry in the 1990s concerned foreign offices. Beginning in the early 1990s, Indian firms were allowed to invest foreign exchange earned from exporting in opening foreign offices. Before this time, Indian firms did not generally have foreign offices and it had been hard for them to build ties to current and potential clients. Large client firms had a strong presence in India, so it had generally been possible for Indian firms to build ties to big companies from Western Europe, Japan, and the United States. The effect of this change in law was to open up business opportunities for Indian software firms with mid-sized clients. Education policy has been important in the rise of the Indian software industry. Indian IT firms have mostly specialized in programming, IT-enabled services, and call centers. All of these types of business are labor intensive, and thus it is important that India be able to educate and train a large and rapidly expanding workforce to keep up with the rapidly growing demands of Indian software and services firms. Were the Indian firms more actively involved in another segment of the software industry, such as the development of software packages (in which the United States is the leader), the demand for workers would not be so acute since the software package business is less labor intensive. In most developing nations, education policy is focused at first on primary education and only later on secondary and higher education. This was not, however, the case in India. In 1947, following the Soviet model of an economy based on heavy industries, Prime Minister Jawaharlal Nehru focused educational investment on higher and technical education. Some people have argued that the sizable and influential bureaucrat class in the government pushed for this particular allocation of funding in order to assure that there would be good educational opportunities for their children. Higher education was supported primarily with public funds during the first 35 years of independent India, but the state never had adequate funds to invest in education at any level, especially when there were other serious competing social needs such as clean drinking water. In 1991 the federal government liberalized education policy, allowing private interests to establish new colleges and universities. Since that time, most of the growth in higher education in India has been in the private sector. For example, in 1960 only 15% of engineering students attended a private university in India, while today the number is over 80%. Even with this infusion of private funding into higher education, India trails many other countries in its educational expenditure. For example, India invests 3.5% of its Gross Domestic Product (GDP) in education, whereas developed nations average 5.1% of their GDP. Even so, there has been rapid growth in the Indian higher education system. Comparing 1953 to 2004, the number of universities increased from 25 to 311, the number of colleges increased from 565 to 15,000, the number of students increased from 230,000 to 9.3 million, and the number of teachers increased from 15,000 to 460,000. India graduates 2.5 million students from college each year. However, there are substantial class, regional, rural-urban, and gender imbalances in the demographics of the graduates. A much smaller percentage of the Indian youth attends college than in many other developed or rapidly developing nations. Of 18 to 23 year olds, 70% attend college in the United States, 40-60% in various European countries, 33-50% in the Asian ‘Tiger’ countries that are rapidly developing their high tech industries, but only 6% in India. A higher percentage of Indian students than Americans study technical subjects, so that there are more engineering graduates each year in India than in the United States. In recent years, India has typically graduated more than 150,00 engineers with college degrees and about 200,000 students with polytechnic diplomas that have a vocational technical orientation. 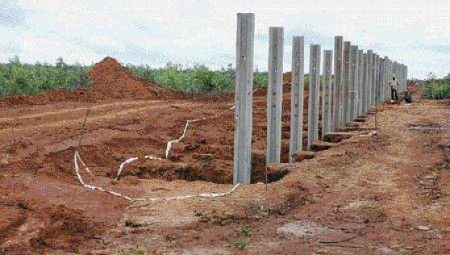 The more than 1200 engineering schools in India are unevenly distributed across the country, with many more of them located in the southern states. Some states have 40 times as many engineering graduates per capita as other states. Overall, the quality of higher technical education is uneven. The publicly funded Indian Institutes of Technology, Management, and Science and several private universities such as Tata Institute of Fundamental Research and Birla Institute of Technology and Science are of world class. However, the quality falls off rather rapidly. There has been much discussion in the Indian press about quality control in higher education, about the problems of accreditation, and about the high percentage of new universities run by government officials and their families (presumably because of their enhanced ability to cut through red tape). Another contentious policy issue has been that many of the best private universities, such as the Indian School of Business in Hyderabad, are prohibitively expensive for all but the wealthiest sector of the population—with tuition and fees costing roughly four times the average Indian family salary. What role did the government play in shaping IT education in India? The first government attention to the subject came in the late 1970s, when it planned a new three-year master’s degree in computer application. At the same time, the government encouraged engineering colleges to start three-year bachelor programs in computer science and engineering. In the early 1980s the government sanctioned the first training programs in computer skills. Beginning in the late 1980s and accelerating throughout the 1990s, market forces came into play and many public and private university expanded their computer science programs in anticipation of a greatly increased demand for IT workers. Today, India has over 7500 bachelor programs in electronics, computer science and engineering, and information technology. The nation graduates, at all levels of higher education, about 75,000 people trained in IT disciplines each year. Like the United States, these graduation rates in the IT disciplines fall short of overall demand for workers, so many Indian employers hire entry-level workers with science and engineering graduates to fill their IT jobs. One sharp contrast between India and the United States concerns doctoral education. India graduates only 30 doctorates per year, while the United States graduates around 1,000 doctorates in computer science and engineering each year. Although the Western press has published many hand-wringing articles about students remaining in India and China for their advanced education and first jobs, it is clear that the Indian higher education is far from ready to take on this responsibility at this time. The government, private forces, and the employers themselves are all playing a role in providing training of the country’s IT workers. More than 5,000 organizations are providing IT training in India today—to more than 500,000 students per year. The big IT employers are actively involved in providing training to their current and prospective workers. 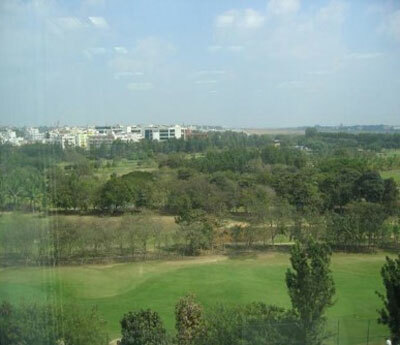 For example, in the city of Chennai, Infosys is training 10,000 students per year. There is a sense that the education and training sector in India is very responsive to the latest needs of India’s software and service industry—perhaps more responsive than the United States is to its workforce needs. Both the national and state governments used infrastructure policy to attract and enable export-oriented software and service businesses to grow. As mentioned above, the federal government established tech parks, but the state governments invested additional money in them and further reduced red tape for businesses operating there. The state governments also relaxed labor laws to allow women to work night shifts, all employees to work on holidays, and round-the-clock operation of a business. 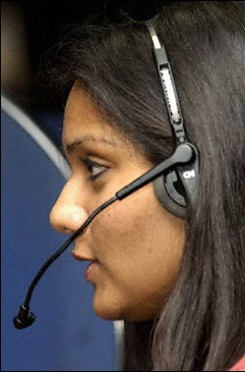 These changes were essential to Indian call centers serving Europe and North America, and important to other Indian businesses doing programming, business process offshoring, and knowledge process offshoring where they had to be in touch with clients on the other side of the world during the clients’ business hours. Local governments also worked with industry to build new airports and international-quality business hotels in cities such as Bangalore. A new research institute, the Centre for Development of Telematics, was established by the federal government in 1984 to conduct switching and transmissions research. This center helped to some degree in modernizing the telecommunications system. However, it was the rapid and almost total deregulation (as described in Table 2) that was the major contributor to building a modern telecommunications system. The modern system rapidly decreased transaction costs, such as for an international telephone call, while at the same time markedly increasing the penetration, reliability, and speed of delivery of service. The cost and availability of service to India were aided greatly by the overbuilding of the international cable system for telecommunications during the dot-com years of 1998 to 2002. The increasing availability of the Internet in the late 1990s and of broadband in the past several years have also enhanced business in several ways: lower telecommunications barriers to entry (no satellite link required), improved interaction with clients, and lower operating expenses for call center and IT-enabled service work. By 1998 the combination of Y2K refitting of computer systems and the demand from dot-com companies led to a rapid increase in the amount of IT work for Indian software firms and broadened their client base considerably. Most of this work was routine body shopping, but there was also the emergence of the ‘blended strategy’ by which some of the programming work was done on the client’s premises (typically in the United States, the United Kingdom, or Germany) and the rest was done back home at the company’s offices in India. The blended strategy was partly a necessity because of the amount of work to be done (given that there were more programmers available at home in India than could be sent on assignment overseas), but it also marked an increase in the trust of client firms in the quality of the work the Indian firms could do. The nature of the work changed during this period. Before, the Indian firms had mainly worked on custom legacy systems. But because of Y2K updates, many of these legacy systems were replaced by standard software platforms, such as those of Oracle, SAP, IBM, and Siebold. This made a big business difference to the Indian firms. They could train their employees in standard software packages and get them the standard technical certifications as a way to raise client confidence in the company and its employees. Using the same standard software packages for multiple clients meant that they could amortize costs for the software packages and employee training over multiple clients. After the turn of the century, the Indian software and IT services became highly dynamic, with rapid growth and wave after wave of business change as the Indian firms chased the hottest technologies and business opportunities, and as the largest Indian firms such as TCS, Infosys, and Wipro tried to move away from businesses such as call centers and body shopping, which were becoming commoditized, towards higher value added work where profit margins are higher. Business moved from body shopping, to blended strategy programming, to call centers and telemarketing, to business processing offshoring (also known as IT-enabled services, where routine back-office financial and accounting tasks are done at a distance using high-bandwidth Internet connections), to knowledge process offshoring (a miscellany of higher value work including, for example, reading digitized X-rays, preparing digital animation, and doing background patent work—all done at a distance from the client, aided by fast Internet connections). It has been typical for the same Indian firm to be involved in many or all of these different activities— often at the same time. Over the past five years, there has also been rapid change in the structure of the Indian software industry. There has been consolidation, and the largest firms have continued to grow in both revenue and employee size at double-digit percentages every year. By 2006 the largest of the Indian firms had the size (more than 40,000 employees) and had achieved the organizational capability to compete in the global software marketplace against major multinationals such as Accenture, IBM Global Services, and Siemens Business Services. These multinationals, increasingly concerned about competition from the large Indian firms, moved to establish their own operations in India by forming subsidiaries, buying Indian firms (e.g. IBM’s acquisition of Dakesh), or forming strategic alliances with other Indian firms. Increasingly, large multinationals in non-IT industries, such as banking and financial services, have also been establishing IT subsidiaries in India to help with custom application software for their business. The Indian software industry continues to face some challenges, some of which may be addressed through policy actions. There are challenges related to quality of the undergraduate education and training provided to India’s software workers. India has continued reliance on Western Europe and North America for doctoral education, which is increasingly problematic for Indian firms as they move up the value chain to do research and advanced development. Widespread abuses to intellectual property, in particular the illegal copying and distribution of software, makes some companies hesitant to do business in India. Data privacy and computer security also remain concerns of many multinational companies who want to either establish operations in India or send work to Indian contractors. The diminishing opportunities for labor arbitrage in India as Indian software labor costs rise to a point where they are higher than in some other developing countries is also a looming threat for India; but this is one issue where there is but limited hope for a policy solution. This bibliography includes but goes beyond those sources used explicitly in writing this paper. Instead, it offers an extensive, if not exhaustive listing of the (principally social science) literature on the Indian software and IT-enabled services industry. The largest portion of this literature is written by economists, who are mainly interested in innovation in developing nations, the behavior of multinationals, the rise of an indigenous industry in a developing nation, transnational trade, and industry structure. The political economists write about the interaction between policy actions and economic performance in the offshoring industry. The business and business history literature examines the history and business strategy of individual firms. The management literature covers the decision whether to do work in-house or outsource it, and the challenges and methods for managing work done offshore. 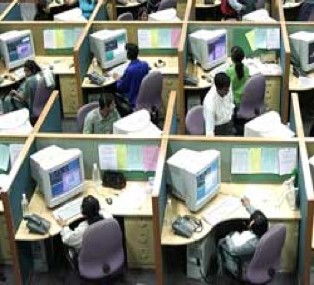 The labor literature looks at issues related to educating, training, recruiting, and retaining workers for the Indian software and services industry, and the impact that the offshoring of this work has on workers in developed nations. Education researchers consider the appropriate curriculum for preparing workers for this industry and the strength of the educational system. 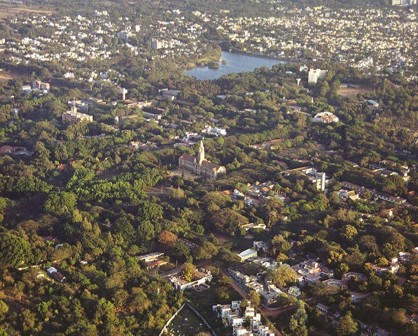 Geographers are interested in the set of factors that make a particular location, such as Bangalore, an effective location for an export-oriented software and services industry. Historians are interested in understanding the way that these developments in the software and services are shaped by and are shaping India more generally. Sociologists discuss the social and organizational factors that interact in shaping this industry. Indeed, as one can see from the length of this bibliography, the Indian software and services industry has attracted significant attention from academic social scientists. T. Abraham, S. Ahlawat, and S. Ahlawat. 1998. ‘The India Option: Perception of Indian Software Solutions,’ International Journal of Technology Management 15, pp. 605-621. A. Aggarwal and A. Pandy. 2004. ‘India's Transformation to Knowledge-Based Economy — Evolving Role of the Indian Diaspora,’ Evalueserve (July 21). A. Aggarwal and A. Pandy. 2004. ‘Offshoring of IT Services - Present and Future,’ Eavlueserve Business Research (July 13). P.G. Altbach. 2005. ‘Higher Education in India,’ The Hindu 12 (online edition) (April). A. Arora, V.S. Arunachalum, J. Asundi, and R. Fernandez. 2001. ‘The Indian Software Services Industry,’ Research Policy 30, pp. 1267-1287. A. Arora and J. Asundi. 1999. ‘Quality Certification and Economics of Contract Software Development: a Study of Indian Software Industry,’ NBER working paper no. 7260. National Bureau of Economic Research. Cambridge, MA. A. Arora and A. Gambardella. 2005. From Underdogs to Tigers: The Rise and Growth of the Software Industry in Brazil, China, India, Ireland, and Israel. Oxford University Press. A. Arora, A. Gambardella, and S. Torrisi. 2004. ‘In the Footsteps of Silicon Valley? Indian and Irish Software in the International Division of Labor.’ In T. Bresnehan and A. Gambardella, eds. Building High-Tech Clusters Cambridge, UK: Cambridge University Press, pp. 78-120. W. Aspray, F. Mayadas, an F. Vardi, eds. 2006. Globalization and the Offshoring of Software. New York: ACM. G. Balatchandirane. 2004. ‘Education and Training.’ In Development of IT Industries and Regional Innovations in BRICs—The Case of India. South Korea: Asian Institute for Regional Innovation. G. Balatchandirane. 2004. ‘Development of IT Industry in Bangalore and Hyderabad: IT Clusters and the Impact on the Local Economy.’ In Development of IT Industries and Regional Innovations in BRICs - The Case of India. Asian Institute for Regional Innovation, South Korea (Nov.). P. Bharati. 2005. ‘India's IT Services Industry: A Comparative Analysis,’ Computer (Jan.), 71-75. B. Bowonder and P.K. Richardson. 2000. ‘Liberalisation and the Growth of Business Lead R&D: the Case of India,’ R&D Management 30, pp.279-288. M.B. Chatterjee. 2005. ‘Playing on a New Court,’ The Hindu: Business Line (Sept. 12 Internet edition). A.P. D’Costa. 2002. ‘Technological Leapfrogging: the Software Challenge in India.’ In P. Conceicao, ed., Knowledge for Inclusive Development. Pp. 183-199. A.P. D’Costa. 2002. ‘Software Outsourcing and Policy Implications: an Indian Perspective,’ International Journal of Technology Management v. 24, pp. 705-723. A.P. D’Costa 2003. ‘Uneven and Combined Development: Understanding India’s Software Exports,’ World Development 31, pp. 211-226. A.P. D’Costa and E. Sridharan, eds.2004. Indian in the Global Software Industry. Delhi: McMillan India. R. Dossani. 2005. ‘IT Services Offshoring to India: India's Position in the Supply Chain.’ ACM Job Migration Task Force Meeting (March 4) Palo Alto, CA. R. Dossani and M. Kenney. 2002. ‘Creating an Environment for Venture Capital in India,’ World Development 30, pp. 227-253. R. Dossani and M. Kenney. 2003. ‘‘Lift and Shift’: Moving the Back Office to India,’ Information Technology and International Development v. 1, pp. 21-37. R. Dossani and M. Kenney. 2003/2004. ‘Moving Tata Consultancy Services into the Global Top 10,’ Journal of Strategic Management Education v. 1, 383-402. R. Dossani and M. Kenney. 2007. ‘Moving Services Offshore: A Case Study of an U.S. High-Technology Firm.’ Berkeley Roundtable on the International Economy (June 29). The Economist. 2005. ‘The Bangalore Paradox,’ The Economist (April 21). N. Forbes. 1999. ‘Technology and the Indian Industry: What is Liberalisation Changing?’ Technovation 19, pp. 403-412. P. Gupta. 2000. ‘The Indian Software Industry.’ In R. Ravichandran, ed. Competition in Indian Industries: a Strategic Perspective. New Delhi: Vikas Publishing House. R. Heeks. 1996. India’s Software Industry. New Delhi, India: Sage Publications. R. Hira. 2003. ‘Utilizing Immigration Regulations as a Competitive Advantage: An Additional Explanation for India's Success in Exporting Information Technology Services.’ Center for Science, Policy, and Outcomes, Columbia University. (March). R. Hira. 2006. ‘Does India's IT Industry Need Labor Mobility in an Age of Offshore Outsourcing?’ In T. Thatchenkery and R. Stough, eds.. Information Communiction Technology and Economic Development: Learning from the Indian Experience. Northampton, MA: Edward Elgar. R. Hira and A. Hira. 2005. Outsourcing America. New York: AMACOM. V. Jayanth. 2005. ‘Engineering Quality,’ The Hindu (March 16). P. Jha. 2005. ‘Withering Commitment and Weakening Progress: State and Education in the Era of Neoliberal Reforms,’ Economic and Political Weekly (August 13) 3677-3684. K.J. Joseph. 1997. Industry Under Economic Liberalization: the Case of Indian Electronics. London: Sage Publications. K.J. Joseph and K.N. Harilal. 2001. ‘Structure and Growth of India’s IT Exports: Implications of an Export-Oriented Growth Strategy,’ Economic and Political Weekly v. 36, pp. 3263-3270. P. Kattuman and K. Iyer. 2001. ‘Human Capital in the Move Up the Value Chain: the Case of the Indian Software and Services Industry.’ In M. Kagami and M. Tsuji, eds. 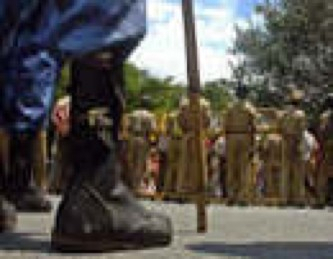 The ‘IT’ Revolution and Developing Countries: Latecomer Advantage? Tokyo: Institute of Developing Economies, Japan External Trade Organization. Pp. 208-227. S. Krishna, A.K. Ojha, and M. Barrett. 2000. ‘Competitive Advantage in the Software Industry: an Analysis of the Indian Experience.’ In C. Avegrou and G. Walsham, eds. Information Technology in Context: Studies from the Perspective of Developing Countries. Aldershot, UK: Ashgate Publication, pp. 182-198. S. Lakha. 1999. ‘The New International Division of Labour and the Indian Computer Software Industry.’ In J. Bryson et al., eds. The Economic Geography Reader: Producing and Consuming Global Capitalism. Chichester, UK: John Wiley & Sons, pp. 148-155. M. Lall 2005. ‘The Challenge for India’s Education System.’ Briefing Paper. Asia Programme, Chatham House. S.N. Maheshwari. 2004. ‘IT Education in India — Incorporation of Quality.’ In S.P. Verma, ed. Information Technology and Indian Administration. New Delhi: Indian Institute of Public Administration. P. Manjooran. 2004. ‘Two Pillars of the Asian Economy,’ Canadian Investment Review 17, 2, R19. R.A. Mashelkar. 2005. ‘India's R&D: Reaching for the Top,’ Science 307, 4 (March) 1415-1417. 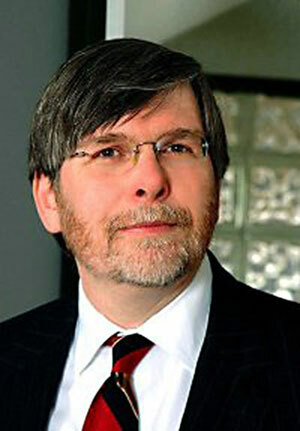 Stephen D. McDowell 1997. Globalization, Liberalization and Policy Change: A Political Economy of India’s Communications Sector. New York: St. Martin’s Press. McKinsey & Co. 2003. ‘India Information Technology/Business Process Offshoring Case Summary.’ (Available at: www.mckinsey.com/knowledge/mgi/newhorizons/reports/IT_BPO.asp). R.R. Miller. 2001. ‘Leapfrogging? India’s Information Technology Industry and the Internet.’ Washington, DC: International Finance Corp.
D. Mohan. 2005. ‘Brand IIT: The People Behind the Image,’ The Hindu (Aug. 27). K. Mukundan. 2005. ‘Faculty Crunch May Hit IITs Hard,’ The Times of India Online edition (April 17). M. Nanda. 2005. ‘Is India a Science Superpower?’ Frontline 22,19 (Sept.10-23). National Association of Software and Service Companies. 2004. Strategic Review 2004: The IT Industry in India. New Delhi, India (Feb.). National Association of Software and Service Companies. 2005. Indian IT-ITES - FY05 Results and FY06 Forecast (June 2). National Association of Software and Service Companies. 2005. Strategic Review 2005. (Available at www.nasscom.org/). National Association of Software and Service Companies and KMPG House. 2004. 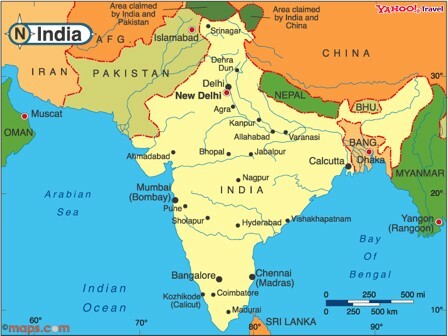 Choosing a Location for Offshore Operations in India. New Delhi, India (May). B. Nicholson and S. Sahay. 2001. ‘Some Political and Cultural Implications of the Globalization of Software Development: Case Experience from UK and India,’ Information and Organization 11, 25-43. T. Okazaki 1999. ‘The Productivity of the Indian Software Industry.’ In New Dimension of Indian Industrial Development. Special issue, Konodai Bulletin of Economic Studies 11, pp. 135-148. A. Parthasarathi. 2000. Globalization and Agglomeration in Newly Industrializing Countries: the State and the Information Technology Industry in Bangalore, India. Doctoral Dissertation: University of California, Berkeley. A. Parthasarathi and K. Joseph 2002. ‘Limits to Innovation in India’s ICT Sector. Science,’ Technology and Society 7, 1, pp. 13-50. M. Patibandla and B. Petersen 2002. ‘Role of Transnational Corporations in the Evolution of a High-Tech Industry: the Case of India’s Software Industry,’ World Development 30, pp. 1561-1577. D.H. Pink. 2002. ‘The New Face of the Silicon Age: How India Became the Capital of the Computing Revolution,’ Wired (Dec.). A. Raman. 2005. ‘The Degree Bazaar,’ OutlookIndia.com (Sept. 5). P. Reddy. 1997. ‘New Trends in Globalization of Corporate R&D and Implications for Innovation Capability in Host Countries: a Survey from India.’ World Development 25, pp. 1821-1837. A. Saxenian. 2004. 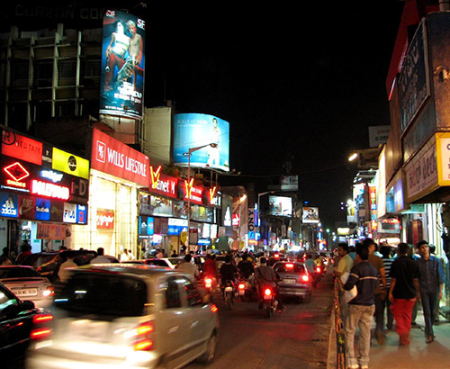 ‘The Bangalore Boom: From Brain Drain to Brain Circulation.’ In K. Keniston and D. Kumar, eds. IT Experience in India: Bridging the Digital Divide. Sage Publications. P. Sen. 1995. ‘Indian Software Exports: an Assessment,’ Economic and Political Weekly 30, pp. 2053-2058. N. Shailaja. 2005. ‘Higher Education Proves No Match for India's Booming Economy,’ Chronicle of Higher Education. (June). K.K. Subramanian 1993. 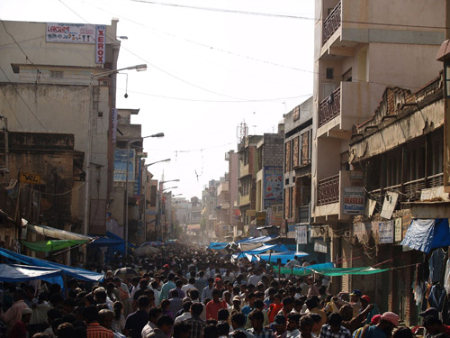 ‘India.’ In S. J. Patel, ed., Technological Transformation in the Third World. Volume I: Asia. Aldershot, UK: Avebury. B. Thakker. 2005. ‘Globalization of Business Process Services - Analytical Study for India.’ The Globalization of Services Conference. Asia-Pacific Area Research Center, Stanford University (June). T. Thatchenkery, G. Balatchandirane, R. Stough, and R. Ranganathan. 2006. ‘ICT and Economic Development: The Indian Context.’ In T. Thatchenkery and R. Stough eds. .. Information Communiction Technology and Economic Development: Learning from the Indian Experience. Northampton, MA: Edward Elgar. J.B.G. Tilak. 2002. 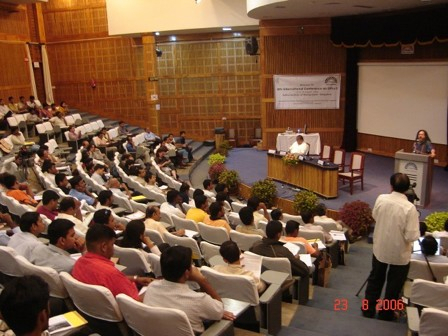 ‘Privatization of Higher Education in India,’ International Higher Education (Fall). .B.G. Tilak. 1989. ‘Center-State Relations in Financing Education in India,’ Comparative Education Review 33, (Nov.) 450-480. R. Varma. 2006. Harbingers of Global Change: India's Techno-Immigrants. Lanham, Maryland: Lexington Books. S.P. Verma, ed. 2004. Information Technology and Indian Administration. Indian Institute of Public Administration, New Delhi, India. Wall Street Journal Staff. 2005.’ In India's Outsourcing Boom, GE Played a Starring Role,’ Wall Street Journal (March 23). 1 This paper draws heavily on the ACM report by Aspray, Mayadas, and Vardi (2006). Thanks especially to G. Balatchandirane and Martin Kenney for their help in understanding these complex issues. 2 This trade and regulatory policy is described in considerably more detail, for the period up until 1996, in Heeks 1996. Also of particular interest on these issues is Thakker 2005. 3 McDowell (1997, chapter 4) describes other reasons. Indeed, there is some academic disagreement on the reasons for liberalization and how various political theories explain the liberalization movement, but the basic facts of liberalization are not in question and the political theorizing about what was behind liberalization is beyond the scope of this paper. World-wide cable and satellite broadband overbuild during the dot-com years made the technology readily available in India and drove down the cost. Rapid IT innovation and obsolescence drove companies to outsource to IT specialty companies rather than invest in technology that would have to be replaced in a few years. A movement to downsize corporations—retaining only core activities in-house while outsourcing other activities—led many companies to outsource IT operations. Business champions (e.g. Jack Welch from General Electric and Carly Fiorina from Hewlett Packard) have been effective in persuading American firms of the value of offshoring. A group of intermediary firms have emerged over the past decade that help small and medium-sized business pick a location, find workers and work space, and clear red tape. Offshoring is now possible for small and medium-sized firms as well as large firms. Many companies have re-engineered their work process—rethinking the way tasks are done and separating out some routine tasks to be done less expensively by contractors. India has followed the trend since 1945 by which many countries reduce trade barriers and participate in the world market. The migration of IT workers between India and developed countries (especially the United States) has made it easier to build transnational human resource and business connections.